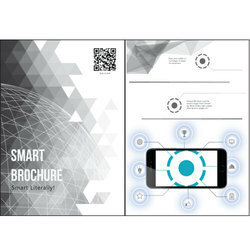 Prominent & Leading Manufacturer from Pune, we offer smart brochure. We make interactive Brochure, A paper that interacts. Place you mobile and interact with by touching the paper instead of phone. A perfect immersive experience for visual ads, real estate, pharma, events, product brochure.